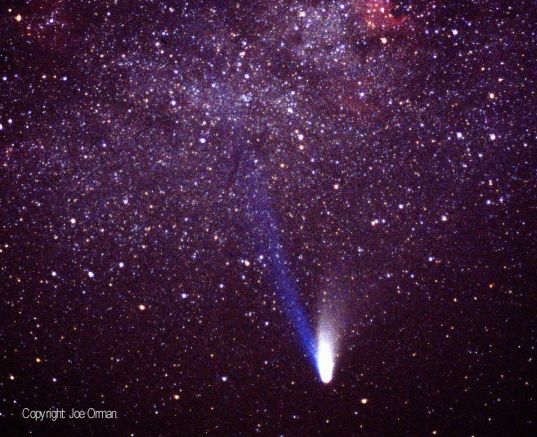 Explanation: Comets are known for their tails. 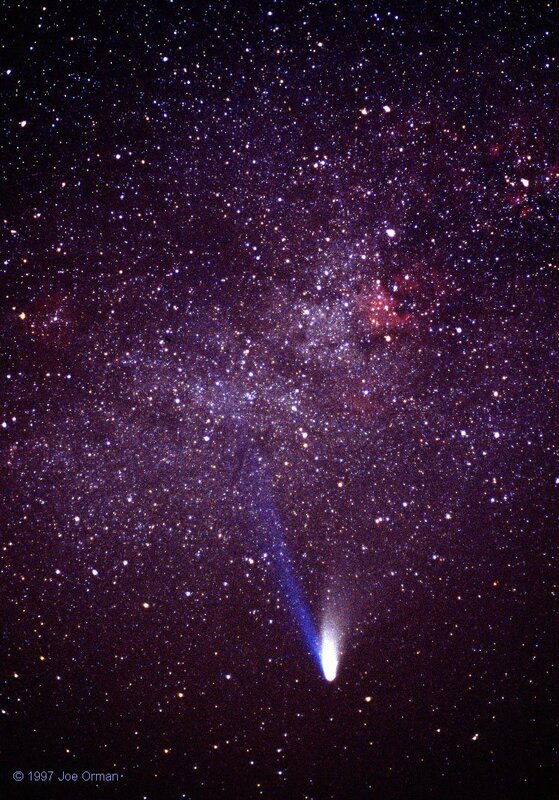 In the spring of 1997 and 1996 Comet Hale-Bopp (above) and Comet Hyakutake gave us stunning examples as they passed near the Sun. These extremely active comets were bright, naked-eye spectacles offering researchers an opportunity to telescopically explore the composition of primordial chunks of our solar system by studying their long and beautiful tails. But it has only recently been discovered that surprising readings from experiments on-board the interplanetary Ulysses probe which lasted for several hours on May 1, 1996, indicate the probe passed through comet Hyakutake's tail! Ulysses experiments were intended to study the Sun and solar wind and the spacecraft-comet encounter was totally unanticipated. Relative positions of Ulysses and Hyakutake on that date indicate that this comet's ion tail stretched an impressive 360 million miles or about four times the Earth-Sun distance. This makes Hyakutake's tail the longest ever recorded and suggests that comet tails are much longer than previously believed.